The 90-Minute Website – Why Settle for a DIY Site? Each day, I help someone—usually several someones—escape from tech purgatory. You know tech purgatory, right? You’re doing something online (or offline) and just can’t get it to behave? You know if you just knew the secret option, the secret incantation or keyboard combination, you could get past this muddle and get on with the work you actually love doing. So frustrating. I love to help with those muddles. To make the world right again, I could write a lengthy tome telling my folks they just need this-and-that setting, to do this/do that, stand on their head and rub their tummy, but that’s just one more novella they’d need to read to get out of tech purgatory, right? You probably have your own version of this. If you’ve ever had trouble explaining how to sign up for your sessions, how to make one of your products work, or even just make clear what it is you DO, then you’ll get me when I say that a video is worth a thousand words. Maybe two thousand. That’s where you and I can both use one of my favorite little tools, Loom. It’s a free service that lets you capture short videos with just one click of an icon in your web browser, or via a desktop app (for Mac, Windows, or Chromebook). 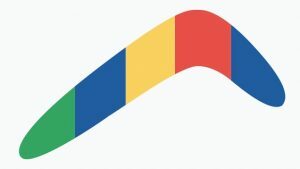 Go to https://useloom.com (for Chrome) or to https://www.useloom.com/desktop (for your desktop/laptop) and follow the directions to download and install it. From the moment I clicked the Loom icon on my browser to posting it here, 1 minute 45 seconds elapsed. The videos can be longer, shorter, or much more elaborate if you like (you can include screen captures, videos, etc. ), but Loom’s strong point is the ability to just knock out a quick visual and share it with very little effort, so you can do more of it. Check it out. It’s super-handy and your clients will love you. Looking for a fast, friendly, personal way to learn how to manage those online things you’ve been paying others hundreds of dollars to do? Reach more of the people that matter, start offering online workshops, finally start using video on your website, and more! Save some money, time, and brain cells: I offer one-hour, 1-to-1 sessions to self-employed folks who’d like to do more, but without the pressure of a webinar or online group classes. Choose one from the course list, or request a customized session for exactly what YOU want to learn. Is your website still out there…or has it flown the coop? When was the last time you went out to your website and just made sure it was …there? Don’t laugh; you’d be surprised to know the number of folks who simply assume a website is a set-it-and-forget-it thing, and rarely even peek at it. You may be equally surprised to learn how many perfect strangers will find your site on the web, will note that it is either completely blank or there’s a giant problem that makes it unusable, and will sigh and click off. Few will actually take the time to report this to you, even if they could see an easy way to do so. So a problem can persist silently for days, weeks, or months, your site broken or invisible, while potentially perfect clients come a-calling and are lost to you. There are a lot of changes afoot in the website world in terms of updates and spiffing-up of the programming behind our sites. A lot of those updates are being done by website hosting companies—the place where your website “lives.” Usually that’s a good thing (they are great at that stuff) but lately I’ve been seeing these actions take place without properly notifying you that something potentially disruptive is about to happen. Example: Several clients recently wrote to me in a panic when they learned — through the kindness of strangers — that their home page had dissolved into a mass of programming code. This coincided with web hosts updating a system (“PHP”) to the newest, securest, most fantabulous version…without notice. It just took a few minutes of updating and tweaking to bring it all back to normal, but up to that point, the public was seeing something very messy and unprofessional. So…would you do me a bite-sized favor? Go to your Google Calendar, iCal, to-do list…whatever you use to schedule important dates & events. 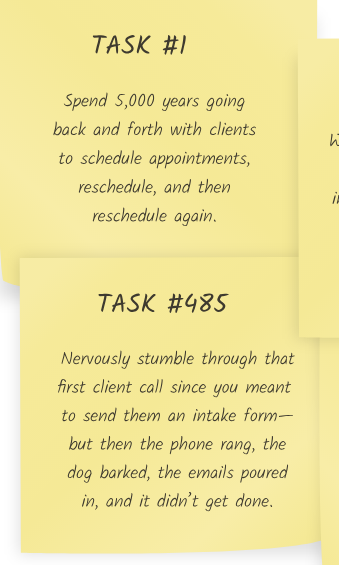 Create an appointment…call it “Website TLC” and make it a quick 15-minute “date” with yourself. Try to get it onto your calendar in the next few days if possible. When that appointment time comes, cruise on out to your main web address(es) and have a look-see. The idea is to pop out and look at your website as a visitor might. Have a quick flip through the pages, make sure they’re seeing what you want them to see. Make sure (in particular) your site’s menu, slideshows, big images, contact forms, and any sort of sales/payment mechanisms are behaving themselves. If you’re able, set up that calendar date with yourself so it recurs, becoming a (minimum) monthly reminder that pops up. Your website is a dynamic creature, and even if you haven’t been keeping it updated with new stuff regularly – something that has great benefits for your visibility – it deserves at least a check-in to make sure it’s happy and healthy. If you see anything out of whack, talk to your usual web person or drop me a note. Thanks. I feel better now. And I think you will too. https://websitesforgood.com/wp-content/uploads/2019/03/monitor-oops-1350918_1280x675_smile.jpg 600 1280 Margaret Rode https://websitesforgood.com/wp-content/uploads/2015/08/wfg-linear-logo1.png Margaret Rode2019-03-05 18:28:532019-03-18 09:51:58Is your website still out there...or has it flown the coop? In early 2019 I’m already noticing an uptick in hacking attempts among my clients’ websites. How can I tell? Even though no one has yet been hacked, I monitor their security programs and see the same wave of attempted logins, brute force attacks, etc. It’s a shame; don’t these guys have anything better to do? These jerks know what I know: There are some changes taking place that are creating opportunities to break into websites and do their dirty work. I wanted to share with you the top five factors that create fertile ground for exploiting a website. I’ll keep it “geek lite” to avoid giving anyone a tech migraine. Please feel free to be in touch any time if you have questions. There are a lot of good, smart, inexpensive website hosting companies — companies that store and ‘broadcast’ your site on the web. And there are a few that are inexpensive-but-untrustworthy. I write about a couple of them here. Some hosts are cheap but just don’t take good care of their clients’ data, and some don’t properly separate user accounts—which opens up opportunities for hacking. In one case in particular, a client’s site was repeatedly hacked until we moved it to another host. Since then? Nothing. This is the most commonly jimmied “door” to your site because many people still use simple, easy-to-remember passwords like “bluepony5” and “mary*jane” and even, yes, “password2019” (#facepalm). It might save you the trouble of remembering a more complicated password, but it may also cost you thousands in getting your web presence back. (not to mention the fact that once hackers guess it once, they’ll try to find other spaces you frequent on the web and use it there too. They know you want to use that easy password all over… 🙂 Keep it complicated, folks. Use uppercase, lowercase, symbols, and numbers, and never—ever—use dictionary words. Many of the websites we are asked to look haven’t been updated in some time. Old or outdated bits and pieces of your site’s machinery are a prime area for jerks to crash your website party. Every piece of your site’s technology—the framework (like WordPress), plugins, themes, programming—should be kept up to date to fix bugs and patch security holes they are constantly finding. Behind your beautiful website, no matter what kind, is programming (or “scripting”) language spewing out thousands of lines of code that make things go. For WordPress sites, for example, that workhorse is called “PHP.” That programming needs regular updates as well. In a huge current example, the team behind PHP has just stopped supporting (protecting) the version that runs behind more than 60 percent of websites that use it, and everyone should update it. This is something that can be updated via your website hosting company, but needs to be done carefully to be sure your existing site won’t be broken by the new version…there are even little programs to check whether your website guts are compatible with the new versions. Ask them (or us) about it. If you do not have the “s” in https, or if you’re seeing a “not secure” message, that’s trouble. That goopy part of your web address means all communications between your website browser software and the website you’re viewing are encrypted/safe from prying eyes. It’s remedied by installing something called a secure certificate on your website hosting account. This is another thing that needs to be wrangled with your website host…but if you have questions, let us know. If you need help deciphering what any of this means to you, or if you’d like to just have this automated so it’s all just taken care of — leaving you time to create, write, and run your business — we do that for a lot of people, so just get in touch with us. We have subscription plans for as little as $25.00/month to keep an eye on things for you . . .so you can turn your eyes to the work you actually like doing. 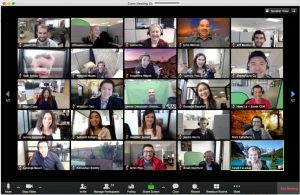 Many of my people either already use Zoom—the groovy online tool that lets you do video conferencing on the web—or a similar service like Skype or GoToMeeting. They give people like us the ability to hold meetings with faraway clients, as well as offer workshops, classes, coaching sessions, group meetings, and any number of other business-building offerings. I previously wrote about business-building ways you can use Zoom, currently my method of choice. Using any of these services requires “bandwidth” —a good internet signal. They’re sending a lot of bits and bytes over your internet connection, whatever it might be. Just keep that in mind if you are sharing your internet signal with Netflix, mobile phone(s), tablets or Kindles, an online-gaming teenager, a neighbor stealing your signal, and more. If your computer is using a wireless signal and sharing that with all of those things, your video connection can be very choppy, with lots of freezes and hiccups. Super-frustrating, especially if you’re doing coaching, a workshop, or other services that people expect to be smooth and problem-free. 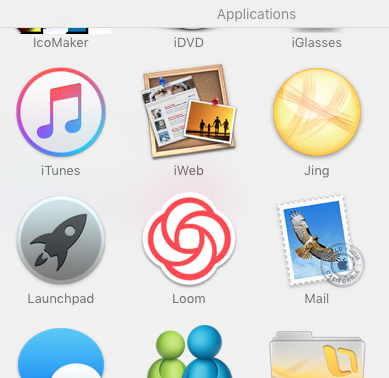 Also, if you’re a person who habitually has lots of software applications and documents open at all times, this too may work against you as Zoom competes with all of them for memory. 30 minutes before: I turn off the power to my wireless router, wait 20 seconds, and power it back up. These devices often have software updates that take place when you “cycle” it like this, and it gives your router’s brain a refresh. 30 minutes before: I restart my computer or laptop completely. This can clear out memory caches, stuck software, and other stored stuff that might interfere with my computer’s memory or signal. Turn off my wireless printer. Turn off the TV and leave it off. Put my mobile phone on airplane mode. If I need to make a call (say, if my meeting attendee doesn’t show up) I can. Turn off ALL OTHER APPLICATIONS that I’m not using. Review my notes and make sure I have something to write with, and on. Breathe deeply, and remember how lucky we are to work for ourselves, bringing our best energies and talents into the world to do something great. Enjoy your trouble-free Zoom session! If your WordPress-based website auto-updated to the new version of WordPress before you were ready, give this simple trick a try before you panic. I’m referring to WordPress 5, which I talk about a bit in this post. In many cases, there’s nothing at all wrong. It’s just that you’re viewing the site through the “block editor” in the new software, and some WordPress sites and themes just still spit up hairballs. And of course, you can always contact me for a non-geeky, plain English, calming & comfortable conversation about it any time. This post is especially for my beloved folks out there whose professional websites are built in WordPress – about a third of the world’s websites by some estimates. Today is the day the benevolent geeks in charge at WordPress released their spiffy new version, WordPress 5.0. You’ll start seeing the graphic above (absent my embellishment…) when you log into your site. I see you yawning out there. Software update? Dull! But bear with me for just a second. It’s pretty neat. The new one uses a system of blocks to let you arrange things on the page in ways you sometimes couldn’t before, embedding different kinds of content (pictures! text! columns! yay!). For non-technical folks who would love to be able to easily create and edit their own pages, and do more than just the one-long-column-of-text thing, it’s going to be awesome. Many website designs, frameworks, plugins, add-ons are not compatible with it and thus your site might spit up hairballs when it’s installed. That could mean anything from “no effect whatsoever” to the white screen of death, with no way into your site. Especially if your site is more than a couple of years old and hasn’t had any sort of updating of its “guts,” it could be messy. It is already causing a bit of mayhem, the same sort of mayhem you might expect if you decided, for example, that you wanted your own personal pet rhino. It’s very possible upgrading to 5.0 right now will break your existing website into smithereens unless you follow some special procedures – and who has time for that right now right before the holidays, seriously? Take a complete backup of your site and download it to your own computer. NOT just your files and database. The whole directory. Your website host can point you in the right direction there. Update your website’s “theme” – the design framework that it’s running (in your Dashboard, go under Appearance>>Themes to see what I mean) – to the newest version available. Also update your site’s “plugins” (Dashboard >> Plugins) which are the little programs that enable your site to do things like cool contact forms, shopping cart, security, automatic backups, etc. Install a little plugin called “Classic Editor” to switch your editor back to the way it was. See what I mean? Who has time? Even after all of that, it may still alter your finally-beautiful website, so have your web person’s email handy and consider letting them know before you plan to do that (or have them do it for you, and save a few brain cells). BUT once the WordPress gods get the kinks worked out, it’ll be a pretty nifty little update to WordPress that’ll help zillions of people work with it more easily and create more beautiful things with it. Totally worth it. No, I mean it, it’ll be good for a lot of people. They are already apparently working on a revision to fix some of the bugs, and should be publishing a cleaner version (or two, or three) of it in January 2019. Don’t push that blue “update to 5.0” button. Just don’t do it. At least not for a month or more. If you can’t resist, take all of the steps above FIRST and light a green candle, burn some incense, recite some incantations from the Necronomicon, etc. If you’re not a WordPress geek, coordinate with your web person before you do. Wait until late January at the very earliest. There’s no compelling reason to upgrade right now. None. So let the dust settle, let the geeks pick it apart and let WordPress fix all the bugs. If you are hosted by Hostgator, and here are all the reasons I still advise against that, you may want to check with them to make sure it’s not going to automatically update itself. I’ll update this post as things get sane again. P.S. If you’re interested in having us do regular updates to your website so you don’t have to worry about this (including security, backups, updates, and all those geeky things), please reach out. Learn more about how to buy an hour, or five, or ten, to make sure you can focus on doing the work you love rather than trying to be a website expert too. There are a zillion vampires that will rob your business of energy, time, and optimism if you let them. Here are 25 things I do to keep them at bay. This morning I had an email from a client who was stuck in techie purgatory. She needed to find a way to have just some of her blog posts appear on her website’s home page, but have the whole collection appear on her Blog page, and to top it off, her blog images weren’t displaying when she tried to share them to her Facebook page…basically, everything was misbehaving for her. Typical of many of my self-sufficient clients, she didn’t want me to wave my geek wand and fix it; she wanted to understand it and know how to fix it herself. I could’ve sent her a lengthy tome about this-and-that setting, do this/do that, but this is the kind of situation that is best solved by showing, rather than telling. If you’ve ever had trouble explaining to one of your clients how to get on your webinar, how to make one of your products work for them, or even just what it is you DO, then you understand this—sometimes, video is best. Enter one of my favorite little tools, Loom. It’s a free service that lets you capture short videos with just one click of an icon in your web browser. You click, start the video, say/show what you need (screenshare, or you talking, or both), and send them the link, all in the blink of an eye. 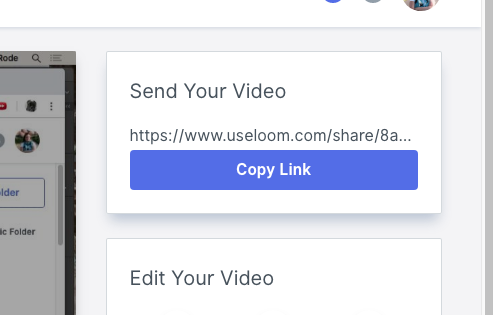 I’ll show you a teensy video at the end of this post I made in Loom and embedded in my blog post in just under two minutes total. Not technically a time-saver, unless you count not having to deal with ads shoved in your face every time you turn around. I should confess that I hate being tracked by marketers when I’m online. (It reminds me of the scene in the film Minority Report, when Tom Cruise is walking through a sea of customized virtual ads popping up in front of his face.) Privacy Badger is a little gizmo you add to your web browser with a click that “…stops advertisers and other third-party trackers from secretly tracking where you go and what pages you look at on the web. If an advertiser seems to be tracking you across multiple websites without your permission, it automatically blocks that advertiser from loading any more content in your browser. To the advertiser, it’s like you suddenly disappeared.” Perfect. It has cut down on a huge amount of ad clutter and junk for me, and I’m grateful. Check it out. 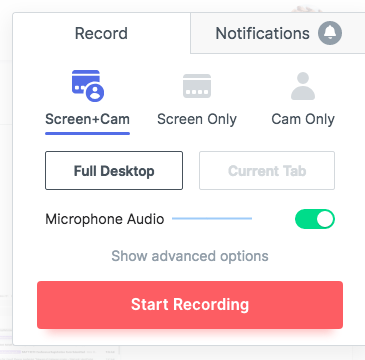 I have lost track of the number of people who’ve said to me, “Oh, Zoom, right — I’ve been on a group call on Zoom but figured it was too complicated to use for my little business.” It’s a videoconferencing tool anybody can use to connect with people all over the world with just a couple of clicks. With a very short learning curve (think minutes) you can expand the reach of your service business from your town to the entire planet. Even in the Free version, you can host an unlimited number of online meetings (think one-to-one or one-to-many coaching, workshops, webinars, trainings…), with 2 to 100 participants if your session is less than 40 minutes, and unlimited session time if you’re just doing one-to-ones. Try a free account and check it out. I’m happy to show up and be your guinea pig, or you can check out my quickstart 1-to-1 session on using Zoom to grow your business here! It would take me 500 words to explain how much Acuity has transformed my business, my productivity, and my stress levels. Without it, I used to spend a lot of time doing…well, the tasks to the right. With it, my people (clients and inquirers) can quickly view my availability, self-book their own appointments, reschedule them with a click, receive reminders, fill in intake forms, make payment for paid services, and about a hundred other things that used to take time and bandwidth. For…$10 a month. (or free if you choose that kind of account.) If making appointments is part of your work, it’s worth a look…they’re also amazing at the art of very personal and entertaining support. Check it out. Finally, circling back to Loom. From the moment I clicked the Loom icon on my browser to posting it here, 1 minute 45 seconds elapsed. The videos can be longer, shorter, or much more elaborate if you like (you can include screen captures, videos, etc. ), but Loom’s strong point is the ability to just knock out a quick visual and share it with very little effort, so you can do more of it. Check it out. Oh, what a life saver for those of us who want to use Facebook for business or personal reasons… F.B. (Fluff Busting) Purity is a browser extension that lets you customize Facebook in amazing ways. It alters your view of Facebook to show only relevant information to you. It lets you remove the annoying and irrelevant stories from your newsfeed such as game and application spam, ads and sponsored stories. It can also hide the boxes you don’t want to see on each side of the newsfeed. The ability to hide the more annoying and useless-to-you aspects of Facebook, while still having the option to display them, is an incredible time- and energy-saver. You can even filter out posts by keyword (to avoid politics, celebrity news, so-and-so’s tweets, etc.) so you never see them and have to cope with the associated emotional distraction. I couldn’t work without it. Those are my favorite tools today, though I’m discovering new ones every day. I would estimate that using these tools has helped me recapture at least three hours every week–and BAM, there’s three hours I can spend on working with the people I love, exercising, meditating, building income, or just playing with the dog if that’s what I need for my mental health. Got any great little tools that YOU use and couldn’t do without? Please share with me! I’m always in the market. Looking for a fast, friendly, personal way to learn how to manage those online things you’ve been paying others hundreds of dollars to do? Reach more of the people that matter, start offering online workshops, finally start using video on your website, and more! Save some money, time, and brain cells: I offer one-hour, 1-to-1 sessions to self-employed folks who’d like to do more, but without the pressure of a webinar or the geek-speak of online classes. Choose one from the course list, or request a customized session for exactly what YOU want to learn. I’m stacking up blocks, taking them down, stacking them another way. I’m experimenting, noticing, tracking, and adjusting. What works? What keeps me joyful and what weighs me down? What has no effect and isn’t worth the trouble, and what gives the most gratification and reward? As you might guess, I often put on my Fun Scientist lab coat when it comes to websites for my self-employed kindred spirits too. I’ve noticed over the years that, just as there are a handful of simple things we can do to make our bodies/homes/lives happier and healthier, so too there are a handful of simple things we can do that make promoting our work easier, more effective, and less likely to cause headaches and heartburn. Below are a few of them. I’ve divided them into “public facing” (the part the public sees) and “behind the scenes” (the part that’s mostly invisible to the public). HOME/LANDING PAGE: As my teenaged friends would say, “No duh.” Yes, you need a home page. Make sure you have one that doesn’t take forever to load, and that acts as a warm, welcoming anteroom for all the wonderful goodness inside. It should use colors, images, and language that makes people feel the way you want them to feel (calmed, excited, curious, hopeful). It should give them a topline view of how you can help them shift from where they are now to where they want to be. It should have clear next steps to reach you or get more information. Oh, there’s a ton I could write about the elements of a successful homepage, but for now, just remember this mantra and make sure your homepage says it: I’m glad you’re here. I see you and know why you’ve come. Here are some things I can offer for that. Here’s what you can do next. ABOUT: Include an About page that helps people know, like, and trust you. People visit About pages for several reasons, but it all wraps around learning whether you’re the best person for what they’re hoping to achieve, have, fix, or become. Tailor your About page to your ideal client. If you’re offering a service to an audience for whom credentials=credibility, detail those. If you’re offering something where being a good-hearted, wise listener is most important, show me that. Show me your face. Show me your humanity. Show me that you “get” me. A CLEAR VIEW OF WHAT YOU OFFER: Don’t just list what you do a Services or Products page. Give me the full details on what you offer, how much it costs, and how it’s going to change me. Let me see/hear the voices of other people who’ve experienced the service. Describe the “new story” it’s going to create for me. Give me a next step (buy button, ‘more information’ button, sign up button). There’s a thousand mile difference between “Here’s what I offer” and “Here’s what I offer and here’s why it’s going to light up your day/life/work/health.” Make sure you’re putting the effort into creating the latter. TIERED OFFERINGS: Many folks sell very expensive services and/or products, and they are usually worth every penny. But although your prices might be perfectly fair, when you’re starting out, you may find that you have trouble building a client base. It’s not that you’re not worth it, because you absolutely are; it’s just that many people need to be eased into feeling confident and comfortable enough to spend their dollars working with you. Offer a variety of entry points to working with you or buying from you, at different price points that give them a staircase rather than a ladder. The easiest first step is to offer lots of free content (articles, blogs, etc.) that show you care about them. The next might be a free consultation. After that, a low-priced offering such as an ebook, workshop, or mini-session helps them to get a taste of working with you. Then a mid-priced offer…are you seeing the staircase now? If you offer all of those, your high-price-point coaching packages no longer feel like such a risky endeavor. They know you. You’ve proven your mettle and have been honest, helpful, and generous. BE PAINFULLY CLEAR ABOUT NEXT STEPS (CALLS-TO-ACTION): Check and doublecheck that you’ve provided a path to a next step toward you on every page, perhaps one for every option you present to readers. (If you make readers burn calories trying to figure it out, they will assume you’ll also make them burn calories if you they choose to work with you.) Calls-to-action must be very clear and obvious – buttons of contrasting colors are particularly useful here. If you have any doubt as to whether your call-to-action is clear, have someone unfamiliar with your website walk through it and give you feedback. DON’T NEGLECT CONTACT DETAILS: Be sure to provide clear and persistent contact information and a way for your reader to reach you if they have questions or want to explore further (such as a free consult). Persistent? Remember that, while they are meandering in your site assessing your offerings, the YES of inspiration can strike them at any time. Make sure there’s always something in view that aids and abets them in following that inspiration; don’t make them go hunting for it. But I can’t overstate the value of including something on your website that has new juicy material added to it regularly. If it helps don’t call it a blog. Call it Articles. News. The Latest. What’s Up. It says several things about you: I know my stuff. I am out here paying attention. I am always thinking of how I can be helpful to my people. I am generous with my time and wisdom. I am trustworthy and I show up for you. I am someone valuable to have in your life. If you use WordPress, PLUGINS FOR SECURITY (such as Wordfence or iThemes Security) AND FOR AUTOMATIC BACKUPS. Unless you relish the possibility of throwing your website investment of time and money down the drain due to hacking or system failure (plus the cost of having a new one built), you really can’t go without these any more. And there’s no reason not to. They are free, and just need to be installed and set up with basic settings. GOOGLE ANALYTICS (or other systems of tracking visitor statistics): This is very simple to set up, free, and allows you to receive reports showing who’s coming to your site, how they found you, where they go, where they DON’T go, and a lot more. AT LEAST A LITTLE SOCIAL MEDIA: Basic presence on at least one social media channel can help most of us, and it’s nothing to fear. A Facebook business page (NOT your personal page) or a LinkedIn profile are natural choices for many. The ability to reach millions more of your people for free is not something to dismiss just because it sounds hard. But because it DOES sound hard, I’m working on two bite-sized private training sessions to just sit down with me for an hour on Zoom and get it done. We’ll have fun. There will be music and poetry and cold drinks 🙂 Write me if you’d like more information on that. There are many more things I can list, and of course I could wax poetic about telling your story, being a changemaker, choosing the right photos, etc. But like the basic building blocks of keeping your body healthy, we’ll start with these…then experiment, notice, track, and adjust. P.S. Remember, if you don’t have these things, you can always drop me a line and ask me questions about anything. I’m here. Is your website still out there...or has it flown the coop? Is it time to write your book? The 90-Minute Website is a guided program for those who are just starting out, are launching a standalone product/campaign, or are simply watching their budget as they build their business. Together we can go from zero to launch and build you a terrific website...all for a superbly sensible price. Sound good?